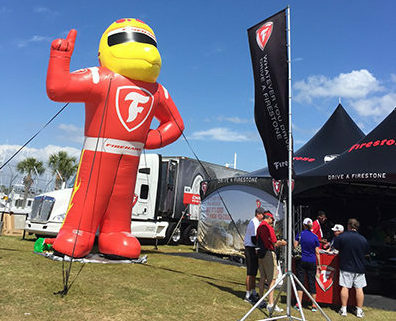 Springtime in St. Pete, FL can only mean one thing…time for the Firestone Grand Prix of St. Petersburg! 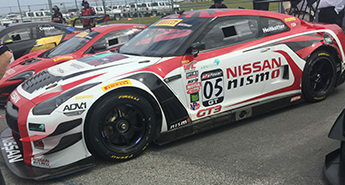 Aptly named the World’s Fastest Spring Break, it is an annual weekend of fast cars and beautiful views. And what a gorgeous weekend of racing it was! The weather was perfect for the event held this year March 11th-13th. 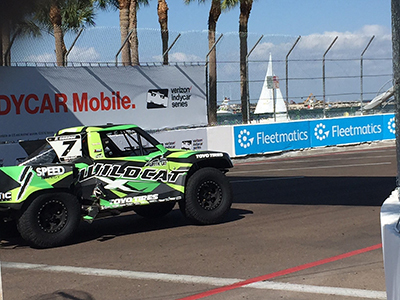 Set literally on the streets of downtown St. Petersburg, the track welcomes Indy series, Pirelli World Challenge, Mazda Indy Lights, and the increasingly popular Robby Gordon’s Speed Energy Formula Off-Road. It always amazes me seeing the streets and local airstrip rapidly converted into the 1.8 mile, 14 turn race track for this awesome event. The track is setup for great viewing from any location. The tracks winds, twists, and turns around Dali Museum, Mahaffey Theater, St. Pete Municipal Marina, and the start/finish is on the runway of the Albert Whitted Airport! 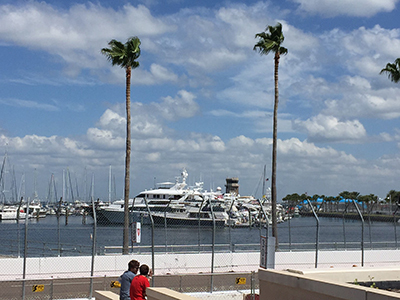 A few lucky fans take in the race festivities from their private yachts or rooftop balconies. 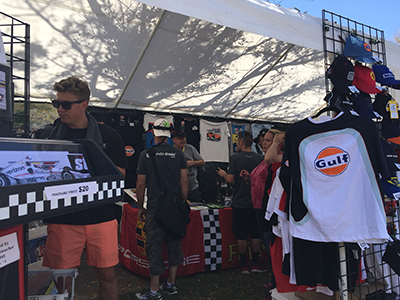 The expansive infield area offers everything from access to the paddocks to a floating party deck in the marina to displays of various cars and racing memorabilia. 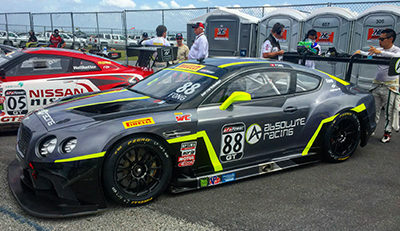 Have a favorite driver or race car? Throughout the weekend there are plenty of opportunities to get up close and personal with paddocks access or during the driver autograph sessions! 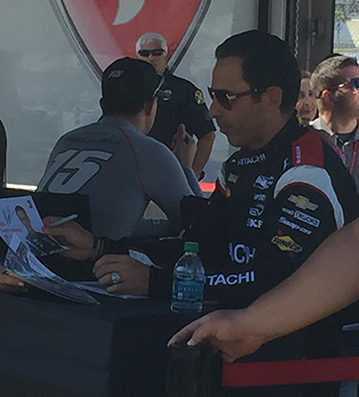 I was lucky to spot one of my favs, Helio Castroneves! Within the last couple years, a rising favorite among the fans has been Robby Gordon’s Speed Energy Formula Off Road series. You think racing on the streets is wild, try adding ramps to jump off! That’s exactly what they add to the track when the trucks get on! 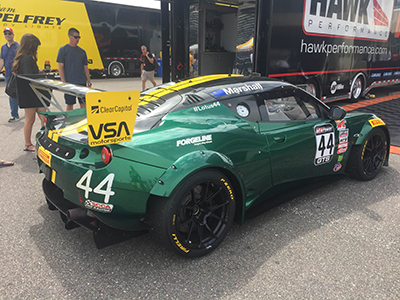 These V8-powered beasts rip, slip, and slide around the track and definitely are not afraid of trading some paint! 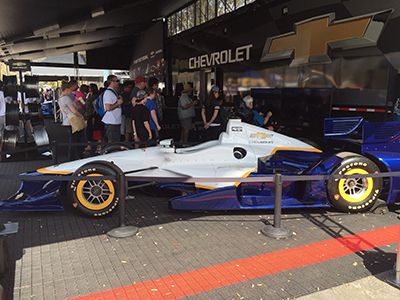 Its hard to believe another St. Pete G/P weekend is already behind us this year, but that also means Florida is getting into full swing everything car related! I CANNOT wait for my personal favorite event of the year, the Festivals of Speed! Returning to St. Petersburg in just 2 short weeks in Vinoy Park, Festivals of Speed is the ultimate collection of automobiles and boats and the luxury lifestyle. I will be sponsoring 2 booths at this magnificent event and would love to give you a personal introduction to a fantastic day. So come join me and my family for an unforgettable time!